Sitting comfortably upon a hill in Tuscany is San Gimignano, a beautiful but small walled town with plenty of amazing buildings. It offers an incredible sight-seeing adventure with its unforgettable skyline. 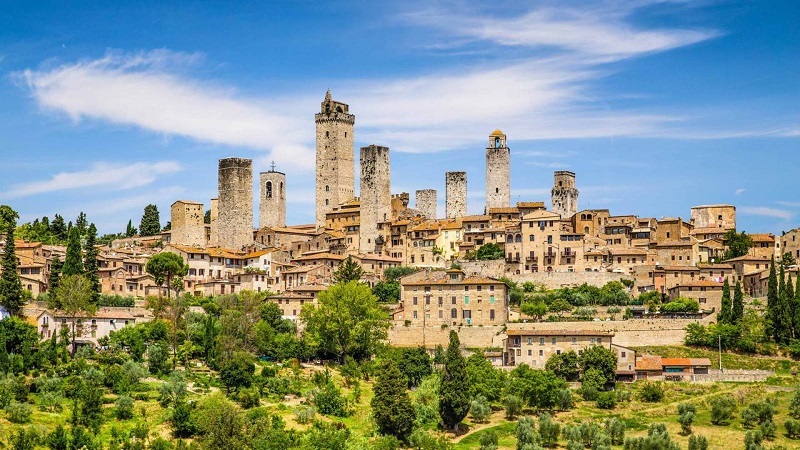 San Gimignano contains many buildings of Romanesque and Gothic architecture of which has been well-preserved over the years. Here are 10 interesting facts about this building you should know. What truly makes San Gimignano unique is because of the numerous towers that have been preserved here. These towers have been there for hundreds of years and remained in very good conditions. Click the next ARROW to see the next photo!